Home » Arsenal News » Arsenal transfer round-up: Gunners must raise offer, Emery coy over star future, Spaniard targeted. Arsenal transfer round-up: Gunners must raise offer, Emery coy over star future, Spaniard targeted. Serie A giants AS Roma are reportedly reluctant to lose Turkish prodigy Cengiz Under on the cheap because of a sell-on clause inserted into his current deal by former side Basaksehir. According to reports in the Italian media, the Turkish side have a 20% sell-on clause, limiting the funds that will be made available to Giallorossi should they decide to cash in on the ace. Reports have suggested that Unai Emery’s Arsenal were willing to pay around €30 million for the star, but had an offer turned down. With this in mind, AS Roma will be keen to maximise that the possible cost of any deal to sell Under, with Bundesliga champions Bayern Munich also interested in landing the player. The report states that Bayern Munich are considering a huge €50 million move, but could now be forced into offering more. Sell-on clauses are not uncommon in the modern market and are an excellent way for smaller sides to ensure the club profit from a player’s success later down the line. This campaign, in all competitions, the technically gifted winger has made 8 appearances, scored 2 goals and provided 4 assists. Arsenal coach Unai Emery was coy when asked about Aaron Ramsey’s ongoing contractual situation at Gunners. 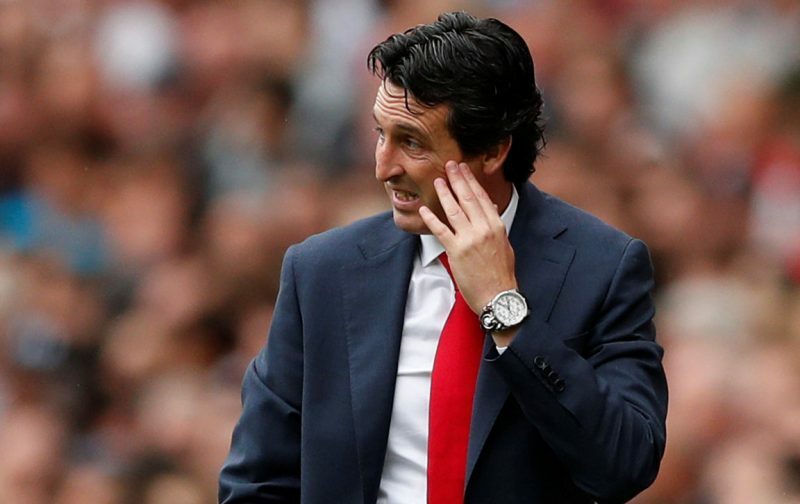 Emery, as cited by Sky Sports, spoke to the media ahead of his side’s EPL fixture against Leicester City on Monday night and was interested to only discuss the fixture. Ramsey’s predicament at the club has been well documented in recent times, with the star’s contract set to reach its expiry date at the end of the campaign. This will allow Welshman to sign a pre-contract agreement with European sides in January if he is not sold to another side, or move on for free next summer. Emery looked to avoid discussing Aaron’s situation at the Emirates Stadium, insisting that the January transfer market is still “very far” away from his thoughts. Arsenal are reportedly planning a move to land Liverpool misfit Alberto Moreno at the end of the campaign. The Spanish star has fallen out of favour at Reds and is in the final year of his current contract at the club. The 26-year-old defender has made 134 appearances for Liverpool since his debut back in 2014 but has struggled for playing time under Jurgen Klopp on Merseyside. Scotland international Andy Robertson has nailed down the left-back spot after a host of impressive performances since joining from Hull City. Liverpool are now resigned to losing Alberto, and he is believed to have drawn the interest of a host of top European sides, including Barcelona. According to the Daily Mirror though, Arsenal manager Unai Emery has been alerted to Alberto’s contract situation and could try to tempt him to north London. Emery worked with the defender when they were together at La Liga outfit Sevilla and is supposedly keen to be reunited with the star. Arsenal are in the market for a left-back with Bosnian star Sead Kolasinac dropping down the pecking order since his injury and Spanish defender Nacho Monreal now aged 33.